The 14th of February is not all flowers and chocolates at NetFlorist. Think thousands of orders, hundreds of employees and late nights processing orders for the V-Day madness! This year, Valentine’s Day falls on a Tuesday, and as more people will be at work all day and unable to spend the day with their loved one, NetFlorist are giving you the opportunity to order for delivery on the 13th of February and your lover will receive FREE Lindt choccies with their gift! Let’s face it, having red roses, chocolates, teddies, jewellery, perfume or wine delivered to your lover will set you up for an after-work evening filled with love and romance. 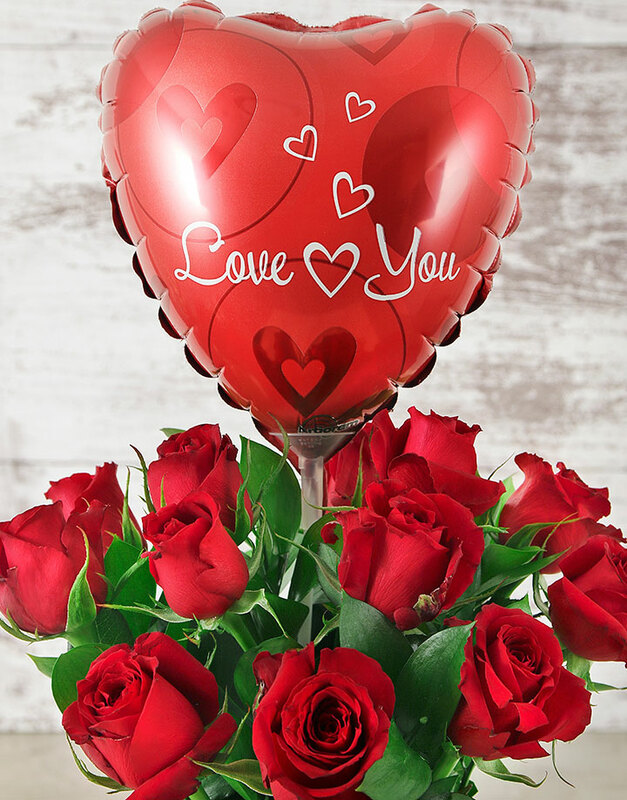 For a Valentine’s Day gift that brings some ooh-la-la to your (let’s face it) otherwise average weekday, visit www.netflorist.co.za and get that order in early! Cupid swears by us – you should, too. WIN! Spoil your loved one with The Whole Nine Yards this Valentine’s Day! This gift is full of romantic surprises! 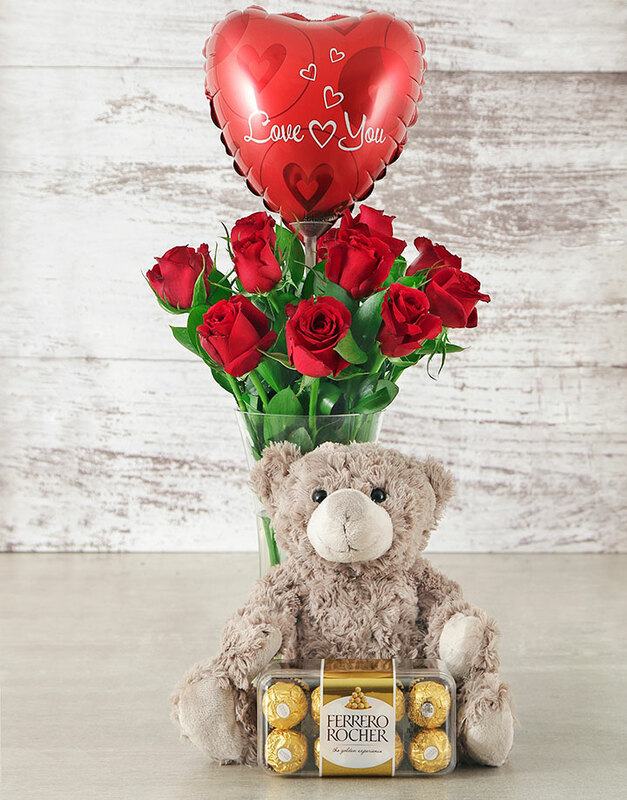 It includes twelve red roses in a small glass vase, a cuddly teddy bear, a box of delicious Ferrero Rocher Truffles and a cute heart-shaped ‘Love You’ balloon. To enter, simply complete the entry form below. Competition terms and conditions apply. Entries close 12 February 2017.